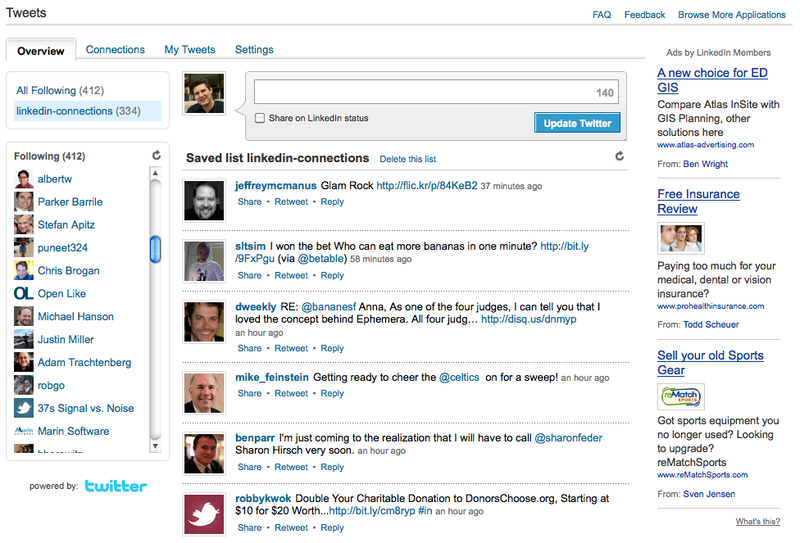 In November 2009, LinkedIn launched our first Twitter integration features. 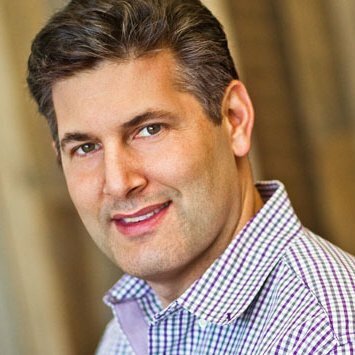 Since then, over one million LinkedIn members have taken the opportunity to add their Twitter accounts to their LinkedIn profile. One of the most common requests we receive is for help finding relevant professionals to follow on Twitter. I'm happy to post that starting today, we'll be rolling out a significant improvement to our Tweets application that allows LinkedIn members to easily find and keep track of their LinkedIn connections on both LinkedIn and Twitter. 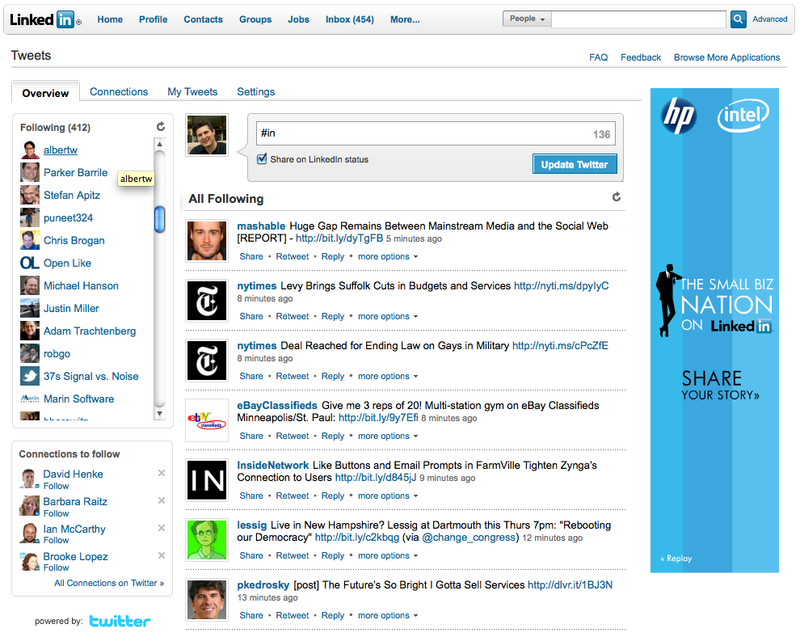 Once you've installed the Tweets application, you can easily access it from anywhere on LinkedIn using the "More..." menu at the top of the website. The Overview tab has been updated with an improved design to help you easily find everyone you currently follow on Twitter, view their Twitter feed, and tweet from your own account. 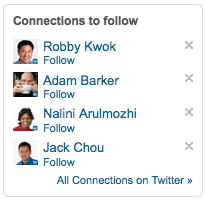 A new module, "Connections to Follow", has been added to recommend new people for you to follow, based on your LinkedIn connections. A new tab has been added to Tweets called "Connections". 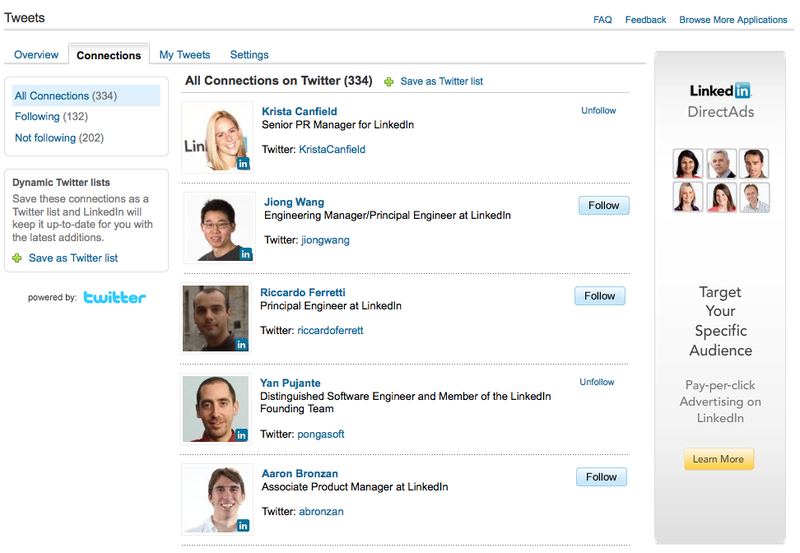 On this screen, you can see all of your LinkedIn connections who have added Twitter accounts to their LinkedIn profiles. Simple navigation is provided to make it easy to see who you are and aren't following on Twitter. You can easily see the Twitter information for any of your connections, follow or unfollow them, and even see a sample of their last tweet by hovering over their Twitter ID. One of the most useful features of the new Tweets application is the ability to save your LinkedIn connections as a dynamic Twitter list. When you click the link to save your connections as a Twitter list, LinkedIn will create a private Twitter list for all of your LinkedIn connections who have added Twitter accounts. More importantly, LinkedIn will automatically keep this list up-to-date, adding and removing Twitter accounts to the list daily based on your LinkedIn connections. This makes it extremely easy to keep track of what your LinkedIn connections are tweeting about in any Twitter client that supports Twitter lists. If you haven't installed Tweets yet, you can add it by going to the Tweets install page. Add it to your homepage to keep track of your twitter lists right from LinkedIn, or add it to your profile if you want to include your most recent tweets. While you're there, don't be afraid to add your Twitter account to your LinkedIn profile and install Company Buzz as well, our popular application for saving and tracking companies, keywords, brands and products on Twitter.